My PhD thesis is ready for the jury! This entry was posted in Uncategorized and tagged conference, phd, phdinleuven, thesis on March 20, 2013 by Péter I. Pápics. 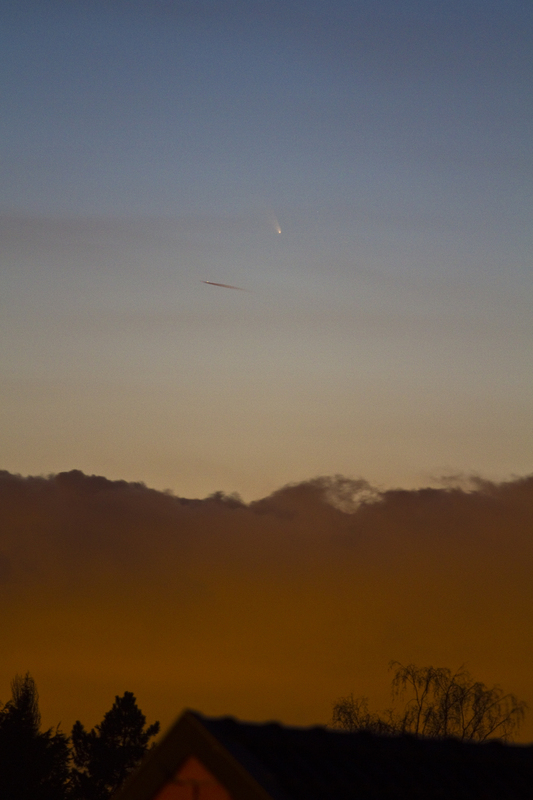 This evening the sky was finally completely clear, so I managed to take a few nice shots of the comet again. I made the zoom-in below by averaging 9 individual 1 second exposures (as I have no motorised equatorial mount to track the comet, I can not use longer exposure times with the focus set to 200 mm, because the sky turns too fast). It was barely visible with the naked eye. The star positioned towards the top right from the comet is 51 Piscium, and the apparent distance of the two objects was 21.5′, or 2/3 of the apparent diameter of the Moon. 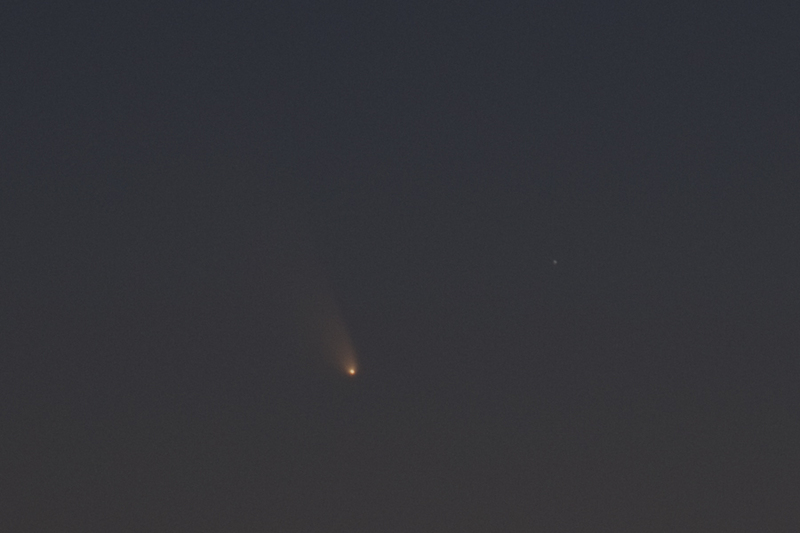 And below is a more wide-angle look (aka, the full image at 200 mm a bit earlier during twilight). This entry was posted in Uncategorized and tagged comet, phdinleuven, photo on March 14, 2013 by Péter I. Pápics. I wanted to catch the comet again today, preferably with the Moon in the same picture, but the clouds were not very cooperative. 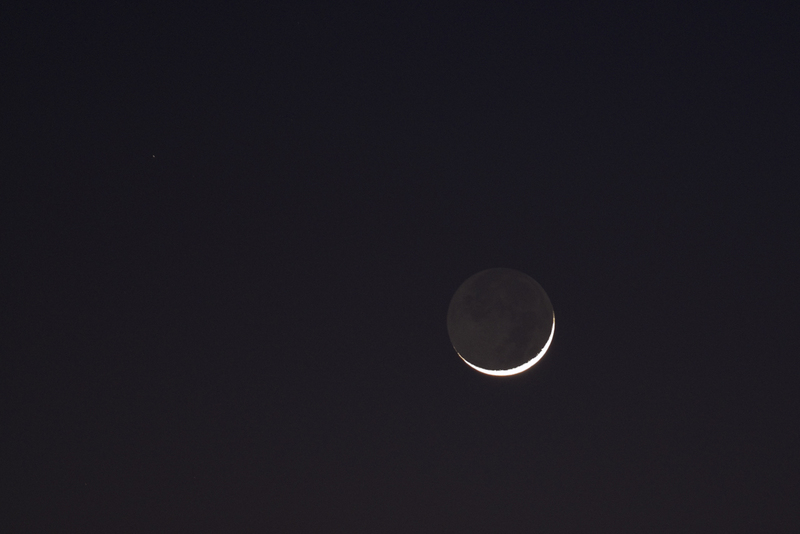 The area around the position of the comet was covered, and only the Moon – situated higher up on the sky – was visible… So I took a picture of the Earthshine (the dark side of the Moon is being dimly lit by Earth, or to be more precise, it is illuminated by reflected sunlight from Earth) instead. Same setup and settings as yesterday, except for the 1.6 sec exposure time. This entry was posted in Uncategorized and tagged moon, phdinleuven, photo on March 13, 2013 by Péter I. Pápics. After a day of weather conditions more typical to Scandinavia than Belgium (a week ago it was 18°C and sunny, today it was snowstorm in -4°C almost all day long), the sky started clearing up from the Northwest just enough that I managed to catch the first bright comet of 2013 a few degrees above the horizon. I could not find it with the naked eye, but it was easy to see in my 10×50 binoculars. The thin crescent of the Moon was also visible for a few minutes before this picture was taken, but unluckily it had set by the time the comet appeared from behind the cloud layer. 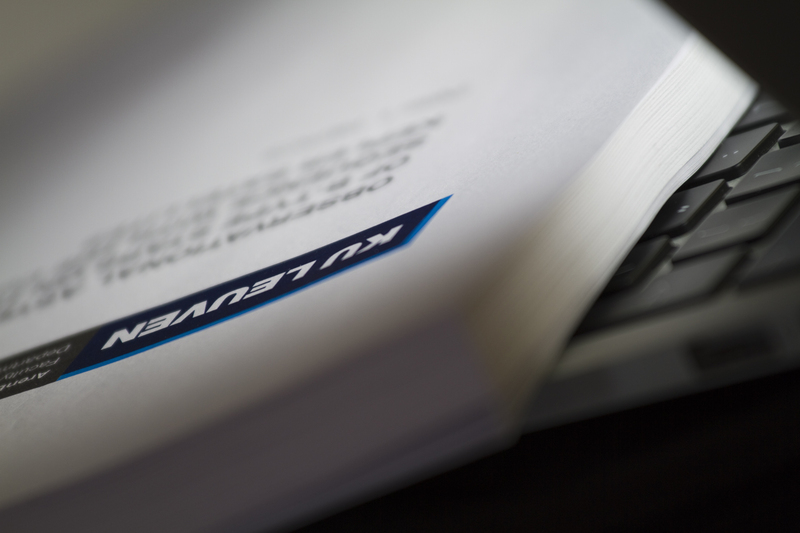 Picture details: Canon EOS 7D + Canon EF 70-200mm f/4.0 L IS USM lens @ 200mm, f/4, ISO800, 1s, crop showing half the full frame. 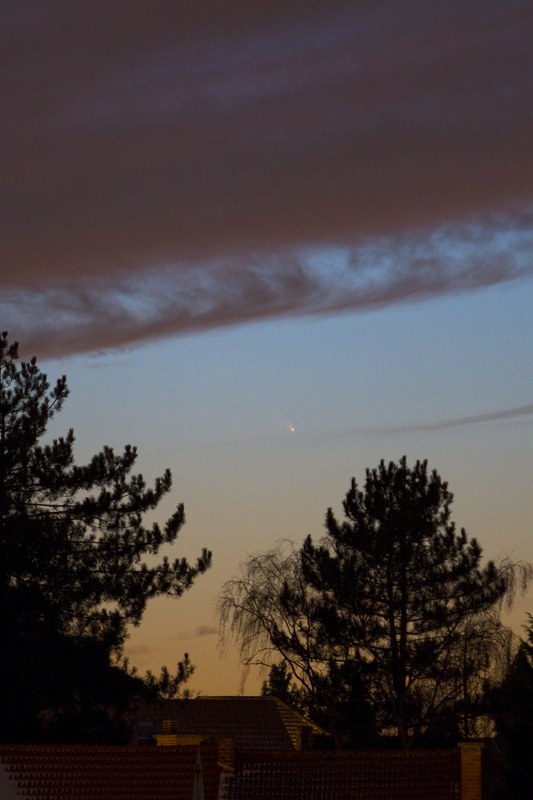 This entry was posted in Uncategorized and tagged comet, phdinleuven, photo on March 13, 2013 by Péter I. Pápics.